Sterilised cutlery? Spotless kitchens? Immaculate presentation? Forget it! Food comes from the ground and grows on trees. So what better way to enjoy it than in the open air, around a campfire, a barbecue or a simple gas burner? 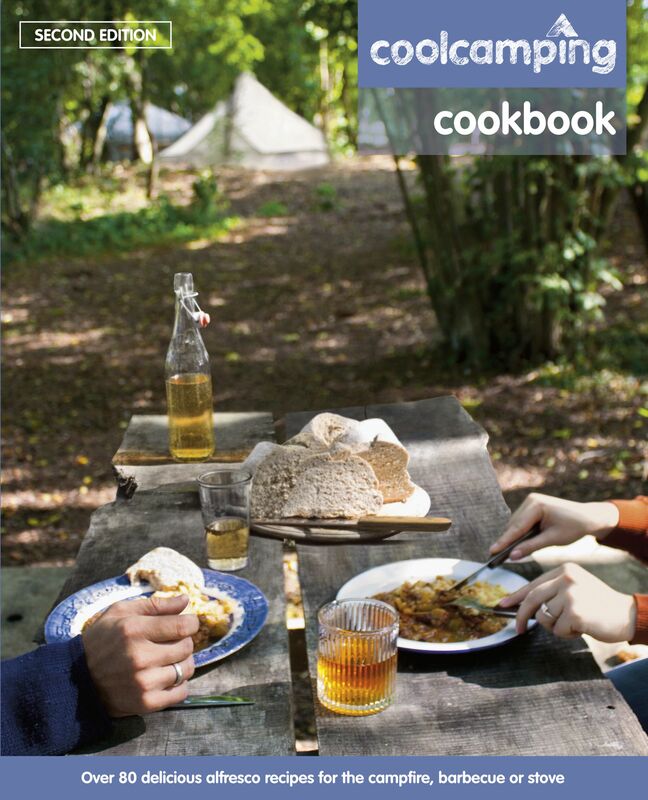 This expanded second edition of the Cool Camping Cookbook, from the people behind those lovely Cool Camping guidebooks, offers even more recipes for those whose love of food is matched by a passion for the outdoors. With innovative recipes for barbecue or burner; simple comfort food for a rainy day; delicious meals to cook over a roaring fire and squidgy, sweet things to get stuck in your teeth, this book sticks two grubby fingers up to the Nanny State. The Cool Camping Cookbook features alfresco dining dishes for everyone: meat-eaters, pescetarians, veggies and vegans – with a quick reference colour-coded index at the back. Recipes include a sweet and spicy barbecued mackerel, deliciously sticky jerk rum ribs, a chuck-it-all-in Thai green curry and chunky burgers just bursting with flavour. Get the kids involved with our sausage-on-a-stick and cake-in-a-tin recipes. Learn how to build tripods, firepits and light the perfect barbecue, or find simple hob-based recipes that are quick to prepare, yet big on flavour. The Cool Camping Cookbook is all you need to dish up great food for the great outdoors.